In a keenly watched event unfolding in Malaysia, former prime minister of the country Najib Razak has been charged in court today in a probe linked to how billions of dollars went missing from 1Malaysia Development Berhad (1MDB), a state fund he founded. He has been charged with three counts of criminal breach of trust and one count of using his position for gratification. He pleaded not guilty to all the charges. Each of the four charges were read to him. There is a prison sentence of 10 years for each of the charges and the ‘abuse of power’ charge carries a fine of not less than five times the ‘value of gratification’. He also asked the court to set bail at RM4 million (USD988,000) in cash and to remove Najib's two passports. Bail was set at RM1 million with two sureties in cash. Najib was also ordered to surrender his passports. Najib Razak was arrested yesterday from his home in a stunning fall from grace, less than two months after losing election to current Malaysian Prime Minister Mahathir Mohammad and as part of the government’s probe into 1MDB. He spent the night in lock-up. Earlier, he arrived at the court complex in Kuala Lumpur in the morning. Some of his children were also present in the courtroom. 1Malaysia Development Berhad (1MDB) is a state investment fund which Najib launched in 2009 shortly after becoming prime minister. Its portfolio has included power plants and other energy assets in Malaysia and the Middle East, and real estate in Kuala Lumpur. SRC, created in 2011 by Najib's government to pursue overseas investments in energy resources, was a unit of 1MDB until it was moved to the finance ministry in 2012. Presently, 1MDB is being investigated in at least six countries including US, Singapore, for alleged money laundering and graft. Civil lawsuits filed by the US Department of Justice allege that nearly USD4.5 billion from 1MDB was laundered through a complex web of transactions and shell companies. 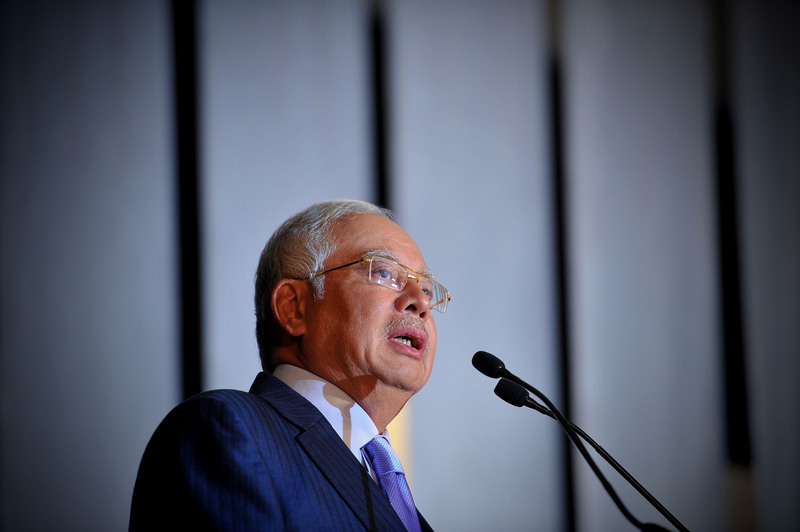 The Malaysian Anti-Corruption Commission (MACC) made investigation into Najib's alleged involvement on how RM42 million (USD10.6 million) went from SRC International into his bank account. He was summoned to the MACC headquarters in May to explain his suspicious transfer.